Hitchhiker Brewing sign in Mt. Lebanon. Brian Conway photo. Mt. 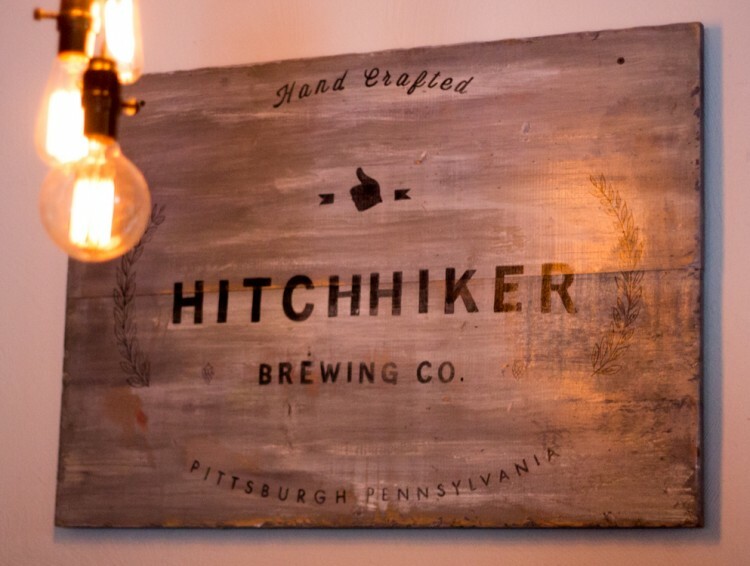 Lebanon craft brewery, Hitchhiker Brewing Company, has announced plans to move production to a 10,000 square foot facility at 4 Bedford Square in Pittsburgh’s South Side. Renovations to the new facility, which will include a public tap room, are slated to begin March 1 and are estimated to last for about three months, with a tentative opening date scheduled for mid to late summer. Approximately 85% of the new location space will be dedicated to beer production while the remaining 15% will make up the tap room, which will make it roughly three times larger than the current tap room in Mt. Lebanon. The move is the result of a yearlong search, aided in part by the Urban Redevelopment Authority. South Side architecture firm Lab 8 will serve as project architects. 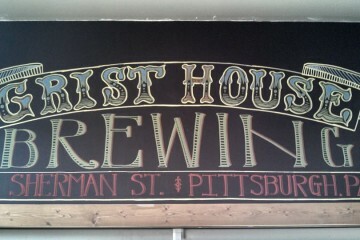 Sketch of the new Hitchhiker Brewing location at 4 Bedford Square, in the South Side. 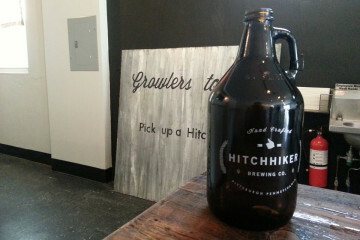 The move will allow Hitchhiker to increase their production ten-fold to 3,000 barrels a year. Currently the brewery uses a three barrel system which will expand to a 15 barrel setup at the new location, including a commensurate increase in fermentation tanks. Hitchhiker head brewer, Andy Kwiatkowski, says that brewing on the current setup sometimes feels like “glorified homebrewing,” and that expanding to a larger setup will allow him to increase both the quantity and quality of Hitchhiker beers. In addition to increasing their wholesale distribution, Hitchhiker also plans to install a canning line at their new facility, allowing customers to purchase cans of beer at distributors and at both tap rooms. Additionally, the basement of the Mt. Lebanon tap room, where the brewery’s production currently takes place, will be used to barrel-age beers, especially sours. Olden says that he has met with the South Side Chamber of Commerce as well as Councilman Bruce Kraus’s office and that both offices have been very supportive of the brewery’s expansion plans. He notes that the South Side has achieved a negative reputation as of late, but he believes that the clientele at a craft brewery tends to be different and more mature than that of typical East Carson Street nightlife. Olden says that while the facility has passed its initial zoning review, there are still a number of matters that must be approved by various regulatory bodies before the process can be finalized.